The Bone Runners, Scotiabank Nuit Blanche Independent Projects, Solo Show, The Gardiner Museum, Toronto. October, 2015. 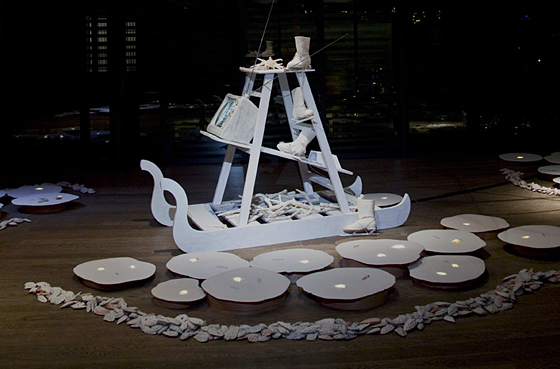 Interactive installation with video projection, glazed porcelain, cast paper, wood, and lights. A mysterious winterscape emerges where the distant past and future intertwine. 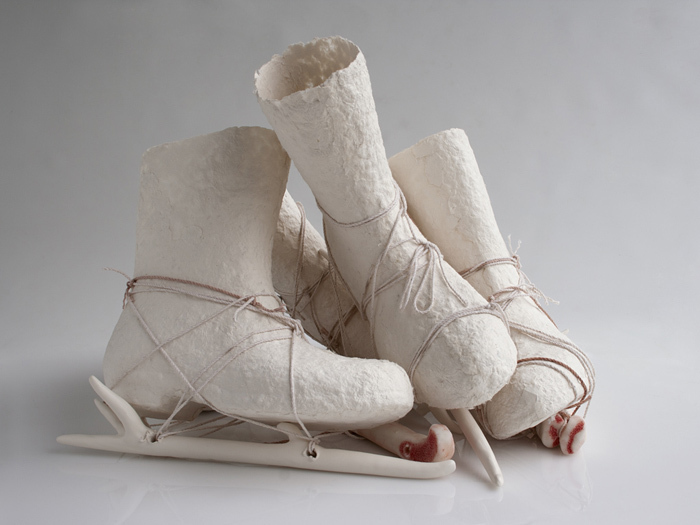 An archaeological find of Stone Age ice skates made of bone and animal skin inspired the multiple hand-made objects in this installation. 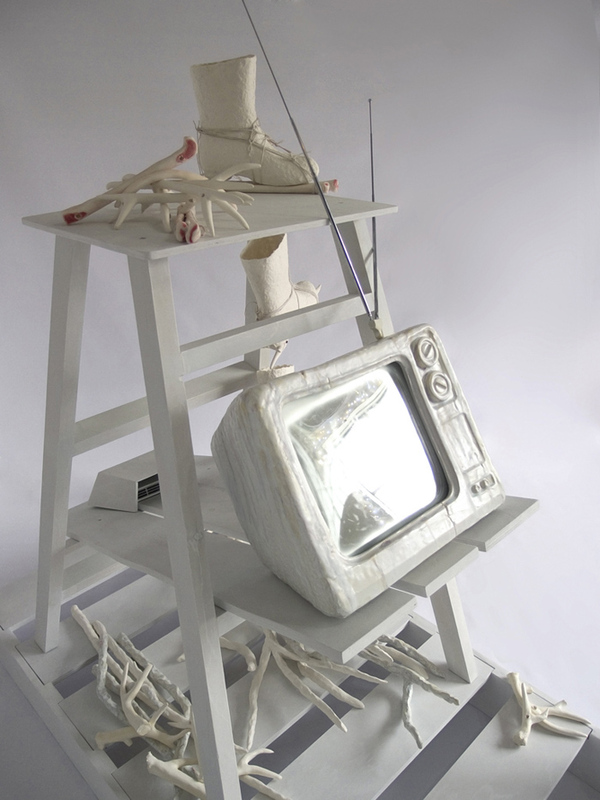 Evocative of movement, migration and the glacial passing of eons, The Bone Runners inhabits an anachronistic space where history and myth merge, and fleeting impressions of light and darkness are reshaped into our cultural memories. 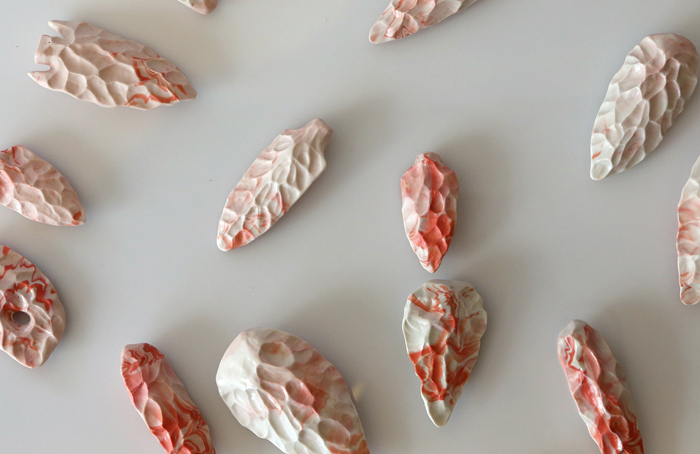 Visitors are invited to take one of 3,000 porcelain spear points or hand axes as a tactile reminder of the experience. and The Ontario Arts Council.